Typically I love Earth Day, it’s the day when everyone’s attention is on something I try to call attention to daily… well almost everyone. Spending Earth Day in Peru, it was really hard for me to be in a celebratory mood and trying to raise awareness left me feeling like a one-woman circus. I had no internet and so I tried to promote awareness locally rather than cyber-ly, but talking about environmentalism only brought about stares of pure confusion. While traveling to the small animal sanctuary on the beach where I am currently residing, I looked out of the colectivo window at trees covered in plastic garbage that had been blown there and caught on the branches. I wondered how there could be so much trash when no one lives on this road. I soon found the answer to that question, as the woman two seats in from of me rolled down her window and proceeded to throw a cup and a candy wrapper out. When I questioned her about this action, she told me she was finished with it and thus it needed to go outside. I tried to explain that now it was going to stay there forever, or even worse it will go into the ocean, she just looked at me with utter confusion and turned around putting an end to our conversation. 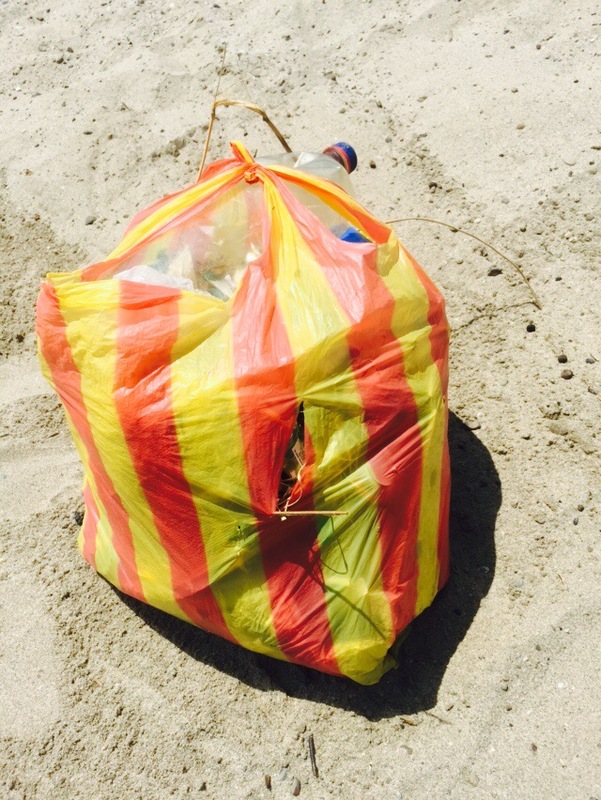 I finally gave up and just conducted my own personal beach cleanup with the biggest plastic bag I could find. 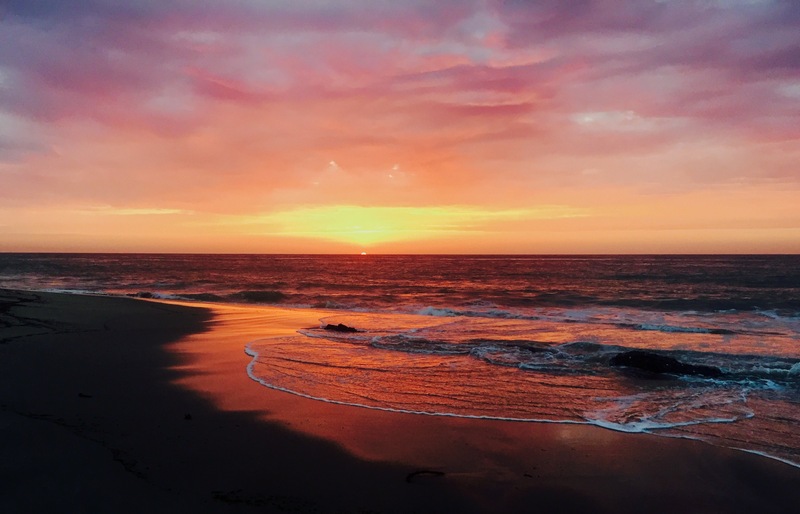 Unfortunately this left me feeling even more depressed, as I looked out at the expanse of beachfront covered in trash and the tiny area I could clean 3 plastic bottles washed up near my feet from the ocean. I sat down in front of the beautiful sunset alone, and I cried. I have been wanting to post about this aspect of my journey, but I guess part of me has been avoiding raining on my own parade. I have been having such a blast and Peru is such a beautiful place, but it is also one of the most polluted places I have ever been in terms of litter. I prefer to adventure off the beaten path, but here in Peru that means witnessing blatant and complete disregard for the state of our planet. Like most things as alarmingly horrible as this, I personally chalk it up to a lack of education. Not only is there no infrastructure put in place to handle the amount of waste people in Peru are producing, they actually have no idea what a negative impact they are having on their own environment… not to mention the ocean which we all have to share (I take personal offense when its wellbeing is threatened). Whenever I have voiced my concerns or opinions on the matter, 9 times out of 10 they’re met with confusion or surprise. I have tried to talk with as many people as will listen about the effects of putting plastic on the side of the road, in the ocean, or in the rivers most people show honest interest wich leaves me hopeful. The first time I noticed how bad the pollution is here, was when I traveled south of Lima by bus to Chincha. Looking out of the bus both sides of the road looked as if I were driving through the middle of a landfill. When I finally caught a glimpse of the beach it was shocking. Bright blue plastic bags floated along the surface by the dozen, the sand was buried beneath piles of toothbrushes and plastic toys, and looking ahead you just see even more litter flying out from the cars driving past. The hardest for me to stomach by far was what I witnessed in the Amazon jungle. A place I thought to be so pristine, is actually horribly polluted. All along the sides of the river there are all sorts of plastic materials, bags, utensils, toiletries, industrial materials, fishing nets. The worst thing I witnessed was on about day 4 of my boat trip into the Amazon. Two men came upstairs and proceeded to grab the the barrel of garbage we had all been using to put our trash in, and they dumped it right over the side. All of our trash from 4 days right into the river. I was outraged! My trash was in there too, I didn’t sign up to litter in the damn Amazon, I wanted my trash back! I ran over screaming in Spanish “why, why, why would you put the trash in the water”, one men blatantly ignored my rant, the younger of the two looked at me alarmed and told me “señorita, because it was full I must throw it over”. “What? Do you always do that, does every boat do that?! ?” I demanding to know, “of course” he replied. I went back to my hammock, I felt as if I was in shock. My fellow passengers seemed concerned by my emotional outburst, but confused as to its reason. I sat and explain what could happen to the animals in that water, how it could change the way everything works together to provide them with the life they know, I tried my hardest to explain how doing this puts the river and thus their sources of food and livelihood in danger. 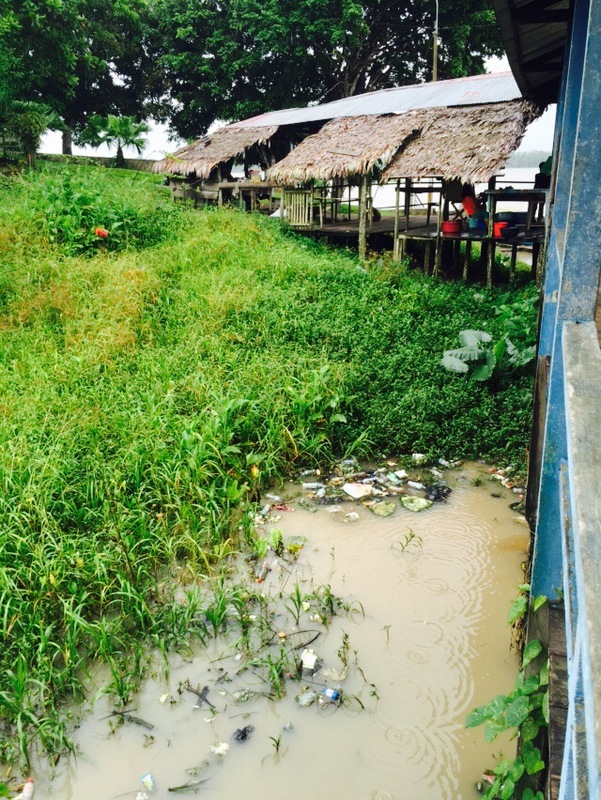 When I arrived to the city of Iquitos, things were in even worse shape. Every boat I got on and every taxi I took, I talked about how sad the trash in the river makes me and pointed out the few beautiful murals in the city discussing protecting the river. I tried my hardest to make a difference but many voices ring louder than one, share this post and support education about conservation. When you visit a new place, don’t just be a tourist, get involved and speak out about things that matter to you. Your homeland or not, this Earth is ours to share. « Cheap Travel Can Be Fun! We all need to decrease our footprints. Its a world problem, not a 3rd world problem, not a 1st world problem. Nice writings! More pictures! I agree, Olivia, that it’s all about lack of education & ignorance. I’ll hope that somehow everyone can wake up to the reality of needing to preserve and protect our world!! !